The reviews for The Spectral Book of Horror Stories are steadily coming in, and we have one to tell you abut this morning – this one’s from Jim McLeod and has been posted to his well-respected The Ginger Nuts of Horror website, and you can read it HERE. More as they come in! This new review of The Christmas Ghost Stories of Lawrence Gordon Clark from The Ginger Nuts of Horror website has just this minute landed on our virtual desk. Written by the Ginger Nut himself, Jim McLeod, you can read his assessment HERE. If the review has whetted your appetite enough, then you can order any of the editions from below. 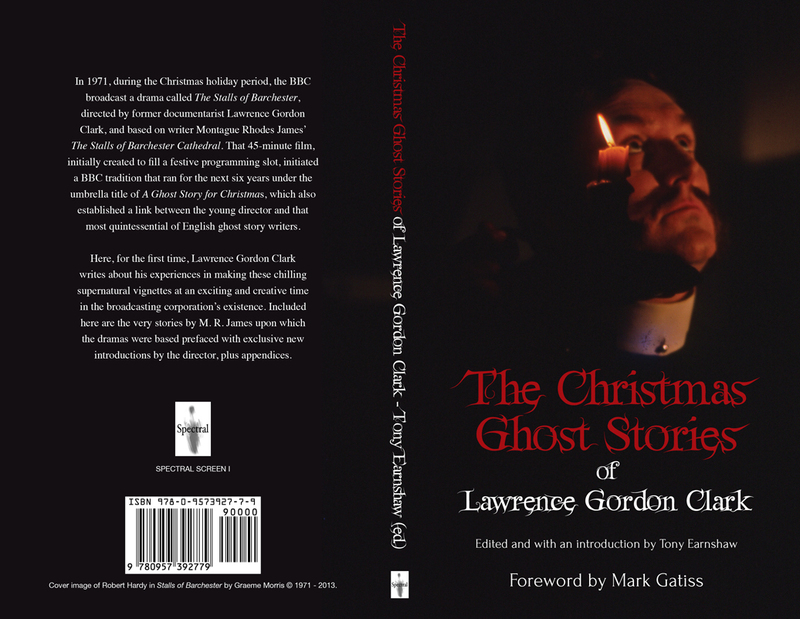 On the subject of The Christmas Ghost Stories of Lawrence Gordon Clark, we have some news about the Deluxe edition that will excite longtime fans of the A Ghost Story for Christmas series of dramas – there will be an extra bonus in this edition only, which will be Charles Dickens’ No. 1 Branch Line: The Signalman with an introduction and production anecdotes by Lawrence Gordon Clark. This is being done for two reasons: a) to make the volume even more of a definitive look at the director’s supernatural ouevre and b) to thank purchasers of the book for their patience. 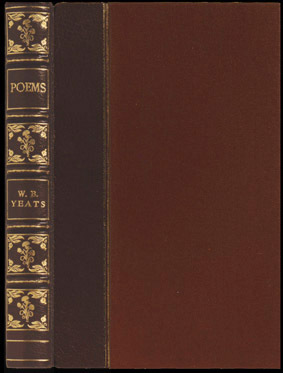 The Deluxe edition of “The Christmas Ghost Stories of Lawrence Gordon Clark” will feature red Wibalin cloth bound boards with quarter bound gold gilt spine in black Wibalin cloth (see example below for the kind of thing we mean) and the slip-case the same except in reverse . Title and Lawrence Gordon Clark’s signature on front board of book and case in gold. Signed on signature sheet by Lawrence Gordon Clark, Tony Earnshaw, and Simon Marshall-Jones. First, here’s another write-up of Stephen Volk’s Whitstable – this one’s been posted to Geek Syndicate by Phil Ambler and is nicely in-depth. You can find it by clicking here. It is advisable to order your copy today – stocks are steadily going down and this is sure to be a much sought-after item. Click on the Spectral Shop option on the menu bar above to get the ordering details. Spectral Press is talking to Whitstable Museum about a possible launch there over the weekend of 25th to 27th May – more details on that when we have them. 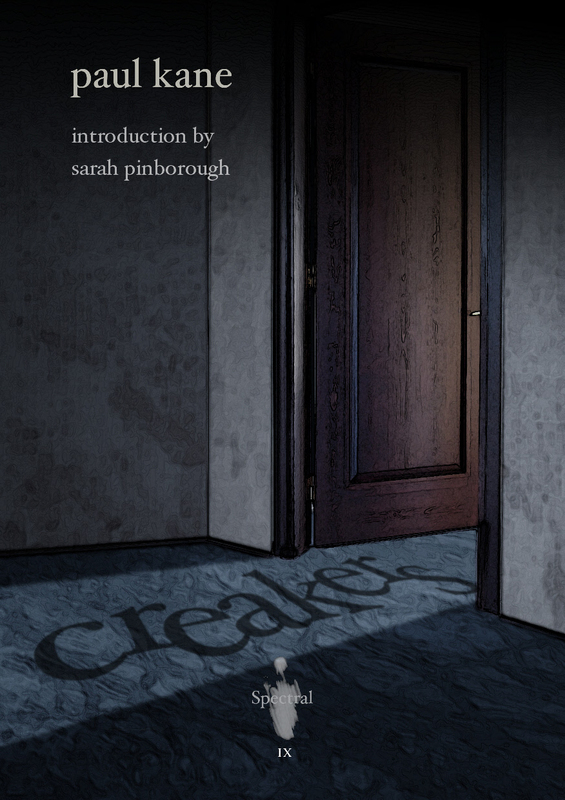 Next up is a review of Paul Kane’s Spectral chapbook Creakers, copies of which will be sent out to subscribers this weekend. This short review has been brought to you by Jim McLeod via his Ginger Nuts of Horror review blog, and that one can be directly accessed from here. Individual copies still available, but in extremely limited numbers – fewer than 15 copies in fact – or, better yet, why not get yourself a year’s subscription (4 issues) to the chapbook line? Details of ordering can be found in the Spectral Shop. Advance review copies of Stephen Volk’s novella have going out here, there and everywhere within the last week or so, and already two reviews have been posted. We here at Spectral reckon that it’s an extremely important book for the imprint, one that will help consolidate the reputation that we’ve been working so hard on building over the last two years – so what did the reviewers think of the third entry in the Spectral Visions line of novellas? The first review is from Mark West and posted to his Strange Tales blog. (Disclaimer: Mark is the man behind Rude Dude Films and the man who puts together Spectral’s video book trailers). You can read his assessment here. Second is a review from that stalwart of the reviewing scene, Jim McLeod, and posted to his Ginger Nuts of Horror blog – you can read that one here. The signed and numbered limited hardback edition is available for pre-order right now, and can be purchased through the Spectral Shop – publication date is not until 26th May (Peter Cushing’s birthday) but already more than half the projected print run has been claimed. 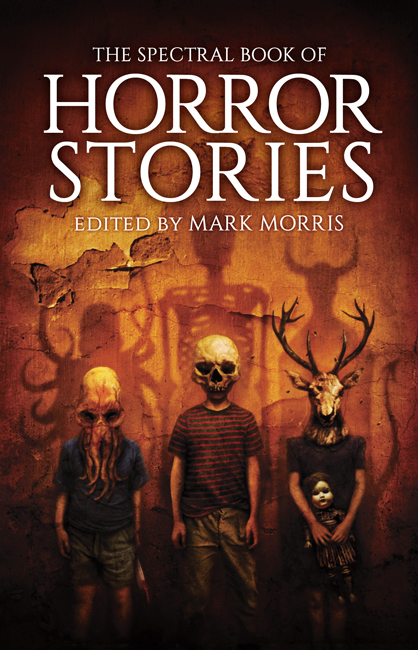 There will also be articles/column pieces in Fortean Times, FEAR magazine, Black Static, Morpheus Tales, the BFS Journal, and on Fangoria.com – this much anticipated novella has been generating more than a bit of interest. 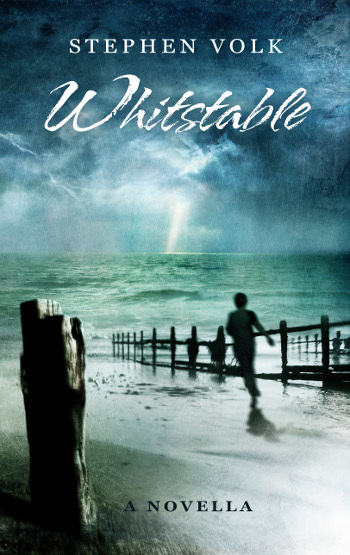 Buy yourself a copy today and see why there’s such a buzz about Whitstable! So, here we have it: the second review of The 13 Ghosts of Christmas, the first anthology in the annual series devoted to spookiness and supernatural goings-on during everyone’s favourite festive season. This one’s courtesy of This Is Horror magazine and has been written by Dan Howarth of that ilk. You can read the full write-up here. There are now approximately 20 copies left of the limited numbered hardback edition, so if you’re interested in grabbing one then time is of the essence on this one – you can order by going here. Just a reminder that Jim McLeod of The Ginger Nuts of Horror blog is currently (December 1st – 14th) conducting an extended series of short daily interviews/reviews with all the writers featured in the blog – his blog can be accessed here. 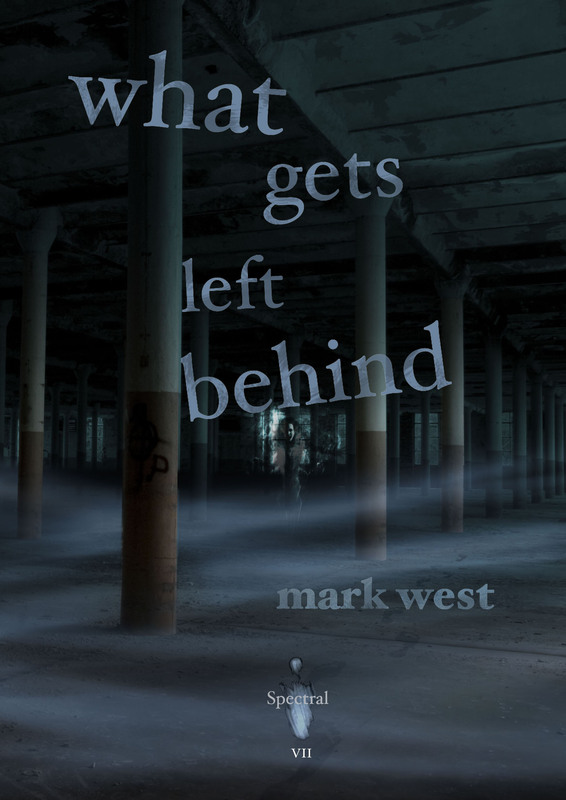 What Gets Left Behind by Mark West, the latest chapbook from Spectral Press, gets its first review, and it also continues the tradition of Jim McLeod being amongst the first to air his reviews on Spectral output. Mark’s tale is very much grounded in the everyday reality of a specific time and place, yet the concerns of the main protagonist Mike are very universal and will be familiar to all. To read what Jim thought about What Gets Left Behind please go here. 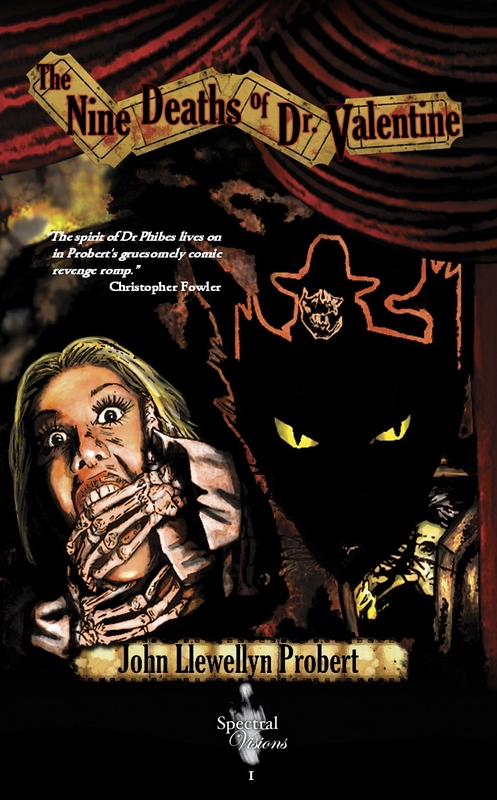 “Spectral Press are fast becoming major players in the world of horror fiction. Their limited edition chapbooks are beautifully presented collectors editions, containing stories that disturb and challenge the readers perceptions in equal measure. 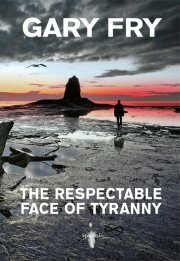 It was with a fair amount of excitement that I started reading their first novella length work – The Respectable Face of Tyranny by Gary Fry. Josh is struggling to cope with his life. The economic downturn led to him losing his high paying job, his expensive home and his wife. To try and get himself back on his feet he moves into a caravan near Whitby with his teenage daughter, where he spends his time caring for his ailing mother and walking through the surrounding countryside, to try and make some sense of where his life went wrong. Before long he starts to see apparitions above the bay at night, and comes across strange carvings on the beach. Is he catching a glimpse of something ancient and terrifying, or have his recent troubles brought on the same dementia that claimed his invalid mother? This is a very introspective piece of work. Gary Fry is quite obviously very familiar with Whitby and the surrounding area, and describes not only the town and its surroundings, but the people that live there in a level of detail that was quite astonishing. I’m not sure if I can remember reading anything recently that evoked such clear mental images for me. Similarly, the characters of Josh and Sally, his daughter, are beautifully drawn, to the extent that they were very real to me right from the start. Against this vivid backdrop, the insidious cosmic horrors that Josh has to contend with also become very real. The Respectable Face of Tyranny is a slow paced and measured novella, that takes its time in painting a vivid picture and building the terror of both the creatures that Josh encounters and his own fear of losing his mind. Very highly recommended for those that want something a little deeper and disturbing than the average horror story. The wonder that is modern electronic communication has meant that the very latest review of John L. Probert’s Spectral Visions novella, The Nine Deaths of Dr. Valentine, has just landed on our virtual desk here at Spectral Towers, so that we can tell you all about it the same morning it was uploaded. It’s from the Scottish wonderboy Jim McLeod of Ginger Nuts of Horror fame and, if you want to know what he thought about John’s novella, then all you have to do is click here. The one thing we like waking up to here at Spectral Towers (apart from blue skies and sunshine, that is) is a new review popping up somewhere – but this morning was even better because we got both sunshine AND TWO new reviews. 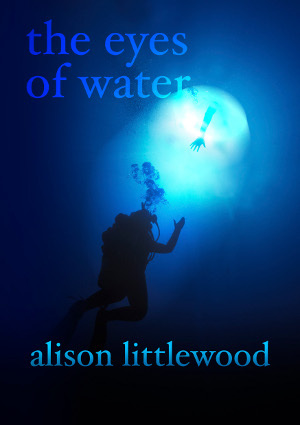 These latest write-up of Alison Littlewood’s chapbook are courtesy of two Scotsmen, Jim McLeod of the Ginger Nuts of Horror blog and pablocheesecake of The Eloquent Page. You can read Jim’s verdict here and pablo’s here. Today, we have two new reviews to tell you about. Firstly, hot on the heels of the review Walt Hicks posted on his Hellbound Times blog recently (see yesterday’s entry) comes this new review of Gary Fry’s Spectral Visions novella. This time the write-up is courtesy of Jim McLeod of The Ginger Nuts of Horror blog fame, for which many thanks. Walt loved the novella, but does Jim feel the same? Find out by going here. 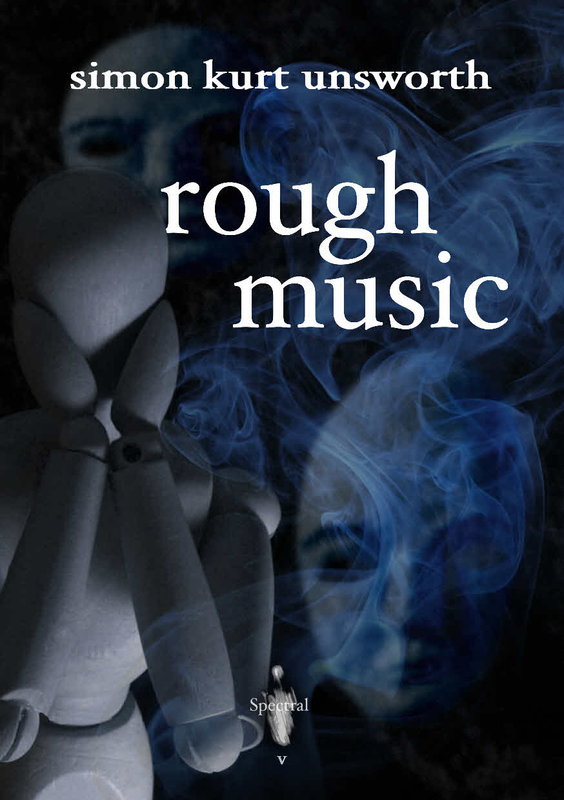 Secondly, here comes a write-up of Simon Kurt Unsworth’s Rough Music chapbook, this time from This Is Horror magazine and written by Dan Howarth – you can read what he said here. Thanks to Dan for the write-up.